Hired laborer. India Man and Wife Coolis in 1900. Home » Hired laborer. 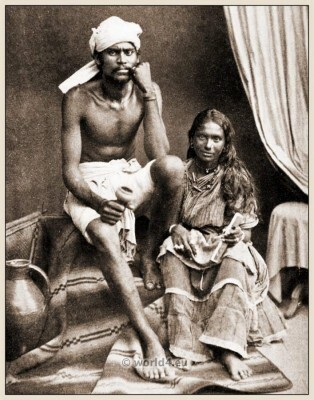 India Man and Wife Coolis in 1900. Hired laborer. India Coolis, Man and Wife in 1900. This entry was posted in 20th Century, Asia, India and tagged Traditional India costumes on 5/21/13 by world4.